Established in 1980, Peter A. Cohen, P.A is a law firm based in Miami, Florida representing clients in the areas of probate litigation, tax litigation, insurance litigation and probate and trust administration. We primarily represent clients seeking legal representation in the state of Florida, however, firm principal Peter A. Cohen is also licensed to practice in New Jersey, Illinois and Maine, and also handles matters in these states. Mr. Cohen has also been involved in cases in other states, such as Texas and Nevada, and in these cases has associated himself with local counsel and has obtained the permission of the local courts to represent the client in the out-of-state matter. For further information regarding Mr. Cohen's areas of expertise, please see our practice areas overview. 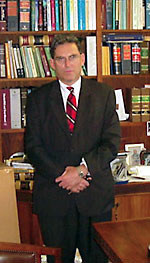 Peter A. Cohen has practiced law for over three decades, with extensive experience in will contests and probate disputes involving testators afflicted with Alzheimer's. In recognition of his work, Martindale-Hubbell has awarded Mr. Cohen its prestigious "AV" rating, indicating that peers rank him at preeminent levels of legal ability, professionalism and ethical standards. Mr. Cohen has also been named to the Bar Register of Preeminent Lawyers, a listing of prominent attorneys in each state. Peter A. Cohen, P.A. will represent your business legal matters. Peter A. Cohen, P.A. represents clients from throughout Florida in all manner of trust and estate disputes, including: -Will Contests -Probate Litigation -Trust Litigation -Guardianship Litigation We also offer experienced representation in the areas of: -Probate & Trust Administration -Tax Litigation -Insurance Litigation -Will Contests We represent clients in connection with will contests and challenges to the validity of a will, including cases where the testator suffered from Alzheimer's or dementia, and cases involving: -Fraud -Lack of Capacity -Undue Influence -Duress -Improper Execution -Mistakes Probate Litigation: We represent clients in mediation, trials and appeals involving any probate litigation matter, including: -Executor Issues -Fiduciary Duties -Determination of Beneficiaries -Construing the terms of a Will -Removal of Personal Representative Trust Litigation: Our areas of representation in trust litigation include: -Challenging the Acts of a Trustee -Removal of Trustee -Accounting Disputes -Motions to Compel Disclosure of Information & Accounting -Trustee Compensation Guardianship Litigation: We represent clients in all aspects of guardianship litigation, including: -Removal of Guardian -Actions to Compel Disclosure of Information or an Accounting -Reasonableness of the Guardian's Compensation -Review of Sale of Assets Probate & Trust Administration: In addition to providing representation in trust and estate disputes, we also offer experienced and comprehensive assistance and representation in probate and trust administration. We assist our clients with all aspects of the administration of an estate or trust, including advice regarding business decisions and assistance with the management of any real property interests. Tax Litigation: We represent taxpayers before the Examination, Appeals and Collection Divisions of the Internal Revenue Service (IRS) and in U.S. Tax Court. Insurance Litigation: We represent policyholders in first party claims against insurance companies, including disputes over coverage, bad faith, and denial of benefits. Offering Over Three Decades of Experience: We are experienced litigators with an established track record of achieving successful results on behalf of our clients, and a reputation in the Florida legal community for favorably resolving complex and challenging cases. For a consultation regarding your specific matter, contact Peter A. Cohen, P.A. In business since 1980, the firm is engaged in seven principal areas of law: will contests, probate litigation, trust litigation, guardianship litigation, probate administration, tax litigation, and insurance litigation. These specific areas of law are discussed below. The firm is involved in the representation of contestants to wills and trusts throughout the State of Florida and other states. As our population grows older, so does the incidence of elderly abuse. As a person ages, he or she is more susceptible to the influence of others. Alzheimer's Disease and dementia, for example, are becoming more and more prevalent; indeed, it has been established that one out of two persons over the age of 85 suffers from the effects of Alzheimer's Disease. These conditions lend themselves to successful challenges to wills and trusts. There are also many instances where unfair advantage is taken of our elderly. Mr. Cohen has recognized that in the probate area persons, otherwise law-abiding, many times get involved in very aggressive and fraudulent acts in procuring wills from weak and suggestible testators, with the result of family members and loved ones being unjustly cut out of an inheritance. Mr. Cohen feels strongly that a life-long relationship should not be cut short and dishonored by an unscrupulous, opportunistic person who just happened to be the "last one there." Mr. Cohen has taken on a number of these cases - in Florida and other states - and has successfully set aside testamentary instruments procured while a decedent lacked capacity or as a result of the exercise of undue influence or duress. There are many circumstances involving Personal Representatives, beneficiaries, surviving spouses, and creditors where litigation is necessary to achieve a fair and just result. This area includes prosecuting and defending creditor claims, elective share rights of surviving spouses, determination of beneficiaries, and construction of wills, to name a few. Florida statutes set out specific provisions with respect to the duties of trustees and the rights of beneficiaries. Beneficiaries, for instance, have the right under Florida Statutes to receive accountings and the right to receive information from trustees. Unfortunately, many trustees do not adequately recognize those rights and their corresponding duties, and it becomes necessary to bring an action to compel same to right these wrongs and level the playing field. If excessive compensation is present, provisions are set out in the Florida Statutes where excessive compensation can be challenged. Many times guardianships are established for weakened persons who cannot adequately handle their affairs, and a guardian is appointed to represent those persons. Unfortunately, in this area sometimes there are things that are done that are not in keeping with the guardian's duties and responsibilities to the ward, and litigation is sometimes called for. At any given time the firm is involved in the administration in Dade and Broward counties of a large number of estates. Many times the representation involves the continued running of a business until the assets of the business can be liquidated at the highest possible price for the estate. Included in these services is the collection of rents and effecting of necessary repairs. The firm has assembled a network of real estate professionals, appraisers, electricians, plumbers, contractors, air conditioning specialists, and handymen in order to maximize the income of the estate while the estate assets are on the market for sale. The firm represents taxpayers before the Examination, Appeals, and Collection Divisions of the Internal Revenue Service and in U.S. Tax Court. The firm represents policyholders against insurance companies in first party insurance litigation. Mr. Cohen is licensed to practice in Florida, New Jersey, Illinois, and Maine and sometimes handles matters in these states, although Mr. Cohen's primary place of practice is in Florida.